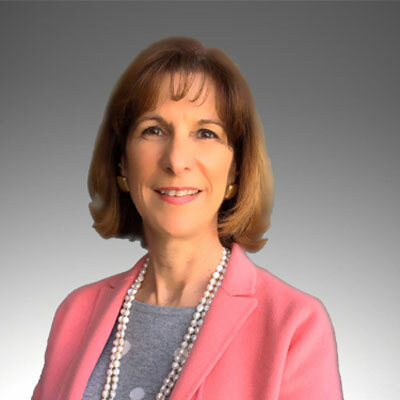 Lou Anne Reynolds joined PTC as the company's PLM Channel Go to Market Director in December, 2015. She was selected to take on the role of Sr. Director, Global Channel Marketing in May of 2016. In October of 2017, Lou Anne's role was expanded to Sr. Director, Global Partner Marketing and became responsible for Global System Integrators, OEMs, and Solutions Providers. PTC is a global technology provider of the leading IoT and AR platform and field-proven solutions that transform how companies create, operate, and service products. In her role Lou Anne leads the development and execution of the worldwide partner marketing strategy carried out by a global partner ecosystem. Previously, Lou Anne was the Sr. Manager of Global Channel Marketing Programs at EMC. Lou Anne led a cross functional global team of marketers to bring channel-only enablement, demand-gen marketing, and loyalty programs to market through Partners. Lou Anne also managed several channel alliance relationships and led a team effort to develop a partner loyalty survey program. Reynolds holds a Bachelor's of Science degree in Marketing from Boston University. I implemented key foundational elements of a world-class, global partner marketing program to align with partner sales goals; ensuring partners are on-boarded, enabled and become productive quickly. I invested in tools, programs and enablement to improve partner marketing readiness, implemented standards and guidelines to increase efficiency, and launched an automated demand-generation marketing platform to improve time to market. Over the next year, Global Partner Marketing will focus on improving the efficacy and ROI of our Partner ecosystem's marketing efforts. We will continue to recruit new and train existing partners to build the IoT Connected Products business. We will improve marketing programs, demand-generation marketing campaigns, tools, guidelines, and best practices to drive double digit growth in the channel. We will host our annual PTC Global Partner Summit to enhance partner readiness and loyalty. One of the women I admire most is Kathleen Mitford; PTC's EVP of Product & Market and Strategy. Kathleen is an authentic leader who is highly respected by executive management, her peers, and her extended teams. She is recognized for her ability to effectively transform organizations and as a result is often recommended to take on new opportunities. Even with the demands of her very busy life, Kathleen always finds time to stop and listen, to be a mentor, and to offer advice and support. I would advise my 16-year-old self to take more chances, to travel more, and to finish my college education full time. I would like to master my international business skills so I could help guide and grow my global team. I enjoyed Simon Sinek's Leaders Eat Last. Simon advocates for authentic leadership. The book helped me trust my instincts more. It also helped me appreciate my fabulous team even more.